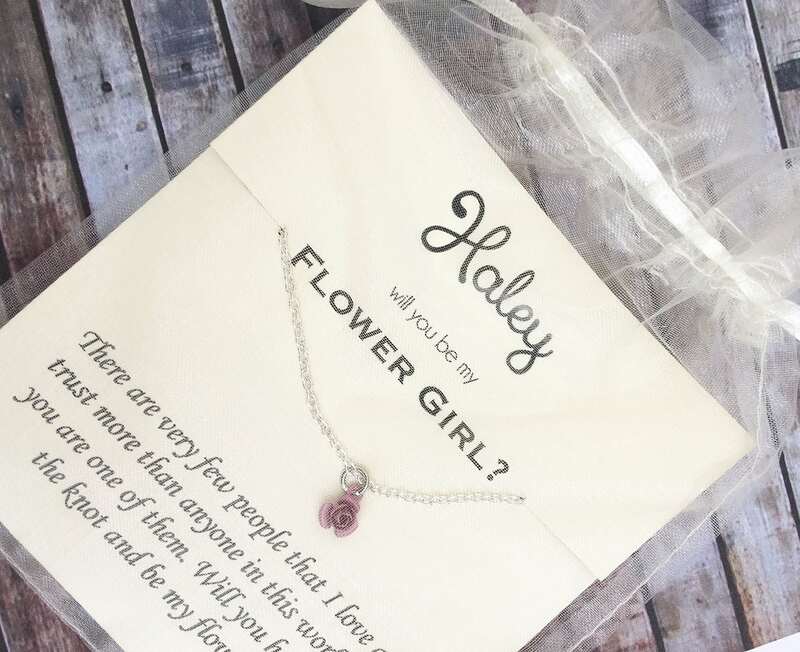 Bridal Jewelry, the latest trend for bridal party gifts. 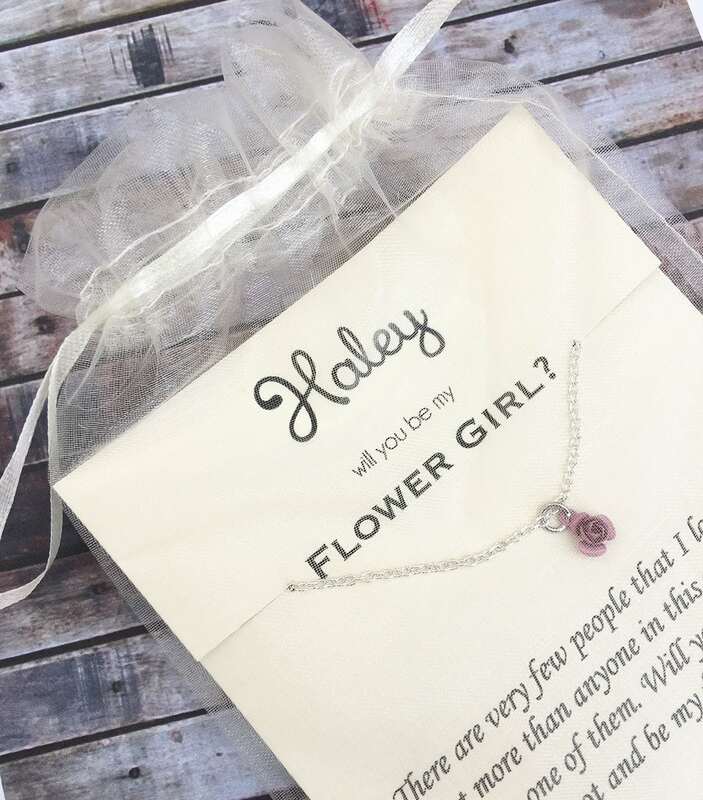 It's also a perfect addition to a bridal proposal box or Flower Girl thank you gift. Order ships 1-3 business days from order. Ships priory 1-2 day mail. USPS. A tracking number will also be provided. Very cute! I bought this for my niece and she loved it! Fast delivery. Such an adorable gift! 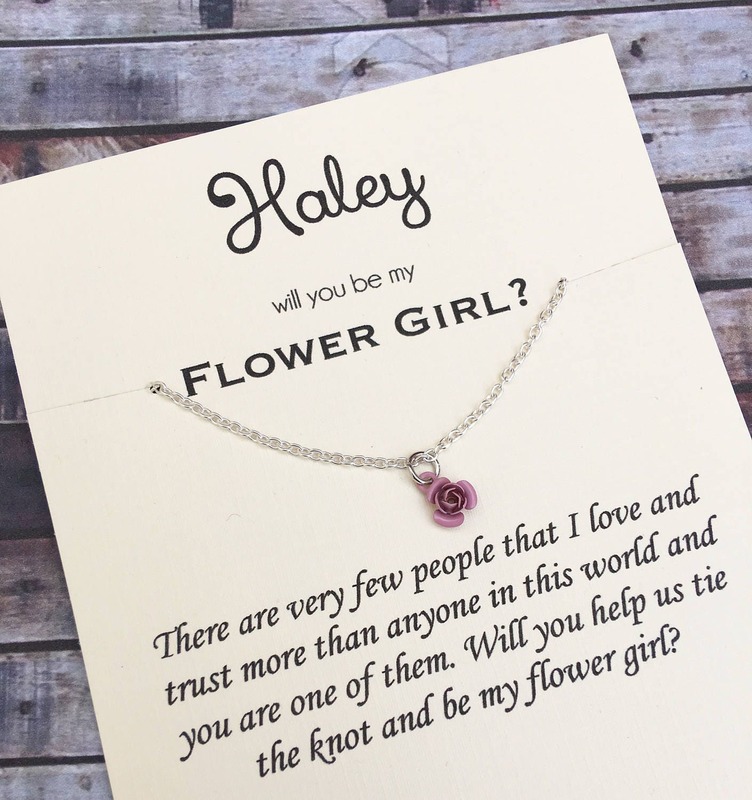 My flower girl is going to love it!! Thank you!!! !